I absolutely LOVE DR. Dawson. She came recommended to me by several friends and I was warned that she was very no nonsense and cut and dry. However after several visits to her for my condition I began to appreciate her approach and I felt that she genuinely cared about me as a patient as well as my concerns. She agreed to treat me when no other doctor would take my case, she allowed me to express my concerns and apprehensions and then discussed with me the pros and cons over everything. She made me feel empowered and that I AM IN CHARGE of my OWN HEALTH! If you are looking for a doctor to coddle, spoon feed, and sugarcoat information to you then NO this is NOT the doctor for you. If you want to be educated, if you want the truth, if you want to leave with a sense of hope and empowerment then please GO SEE DR. DAWSON! I came back today from the hospital crying because I was not able to visit my beautiful doctor Felecia Dawson because of lack of insurance, no doctor will take her space in my heart, she is the best doctor in the world, I went to Grady Hospital for four good years for fibroids, I was told that my surgery cannot be done without removing my uterus, I was told I have cancer of the uterus too, that was why my fibroid was so big, I was like nine month pregnant, my friends were asking me for my baby shower u know what I mean, I was afraid of removing my uterus, but when I went to Dr. Dawson she did my fibroid without removing my uterus, and again find out that I did not have cancer, and everything was perfect, she saved me, I love her, I love this woman, she is an angel, may god bless her and give her long life to keep saving life for Jesus, I pray that one day I will be in the position of taking her to my country Nigeria to build a hospital, silver or gold have I none rather to keep praying for my doctor Felecia Dawson the best doctor in this planet. I searched high and low for a good GYN, I've always been very shy and unfortunately that shyness caused me to be irregular at getting my annual woman examination, just the thought of it made my skin crawl. I knew I wanted a woman doctor, and I knew i wanted an African-American doctor, I wanted her to be well into her practice, holistic, and have a gentle touch. I thought I was asking a lot for one person, but I must say when I fumbled across Dr. Felecia Dawson, just looking at her picture gave my heart comfort. My first visit to her office was absolutely pleasant. I was an hour late because I got lost, her staff assisted me by cellphone to the office, she still made time to see me and spend time with me since it was my first visit. Every single staff member was warm and inviting. I was greeted with smiles and accommodation. 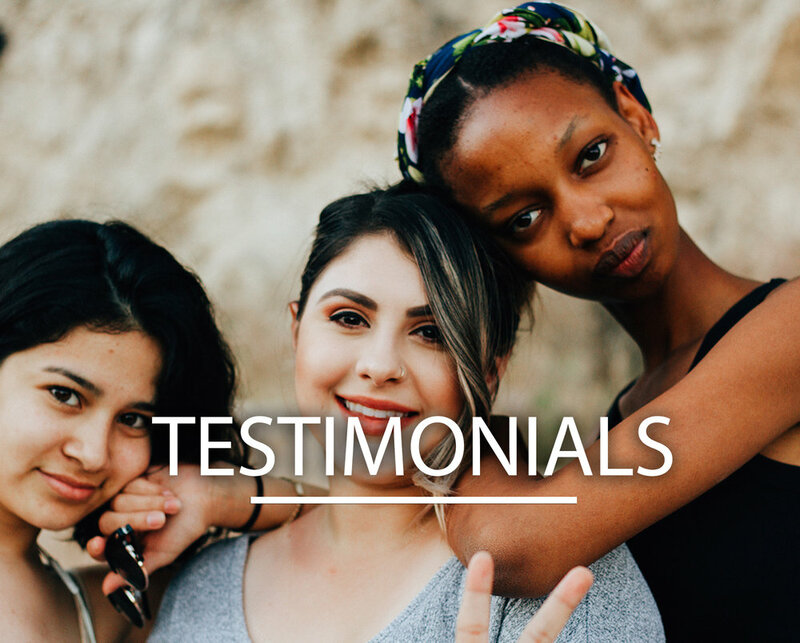 Dr. Dawson's warm smile and gentleness relaxed my mind and soul, it was the most pleasant woman's examination I have ever received and I feel so happy and satisfied that I finally found me a physician I feel comfortable enough to ask any questions about anything. I referred her to my mother and a co-worker of mine. Thanks so much for the wonderful care during my pregnancy and over the years. You have been a terrific doctor to me for 10+ years. You have provided great care for me and you delivered my first child almost nine years ago. Now we have been blessed with another healthy and sweet girl. I truly appreciate your attentiveness, responsiveness, expertise and great support. I would trust no one else with my health. My thanks to you for all you do-everyday! Although I see you once a year. I look forward to the visit. Your special and personal attention makes me feel you are there just for me! Thank you so much. See ya next year! Thank you so much for your EXCELLENT bedside manner and for administering quality medical care!!! I enjoyed my visit with you and really didn't feel like a new patient. Your staff was very professional and warm from the beginning phone consultation to the follow-up call I received. I have felt important and cared for! How unusual in a medical practice. I will adhere to the wellness outline that you discussed with me to the very best of my ability. I have even called my girlfriends telling them that they must check you out!!! Again, thank you and your staff for the attention and care that I received. Until next time, Godspeed! My family and I thank you very much for providing me with excellent care and attention on such short notice. Your wisdom and care are such wonderful assets in the community, especially for women. Again, many thanks and much blessings to you.